The health and safety of our visitors is one of our main priorities. ZSL policies follow Zoo Licencing Act, relevant Health and Safety legislation together with the National Guidance for the Management of Outdoor Learning and both sites have been awarded quality badges by Learning outside the Classroom. Please note that these are only guidelines; we encourage you to conduct your own risk assessment - once a booking has been made, one teacher per class will be automatically allocated free admission to plan their trip - simply bring your booking confirmation with you when you visit. Last entry to the Zoo is one hour before the Zoo closes, please check opening times for ZSL London Zoo or ZSL Whipsnade Zoo. All ZSL staff are fully trained to complete their roles in the Zoo. 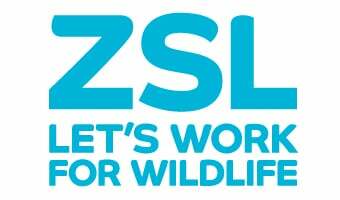 ZSL maintain compliance with the requirements of the Health and Safety at Work Act 1974, the Zoo Licencing Act 1981 and all other health and safety legislation applicable in the countries in which ZSL operates, throughout the year. ZSL activities including all Discovery & Learning programming have full risk assessments associated with them. Please view our Public Liability Insurance document on this page for further information. Boasting a diverse and highly skilled Discovery & Learning Team, ZSL provide unique learning sessions for all ages and abilities. Linked to the National Curriculum and Exam Board Syllabi, we aim to deliver interactive experiences using resources such as live animals, objects from the natural world and multimedia. Further information on education sessions can be found here:ZSL London Zoo: http://www.zsl.org/zsl-london-zoo/schools/education-sessions. ZSL offers free supervision adult entry in line with Department of Education supervision guidelines for Learning outside the Classroom (One free entry for supervision for every six primary students and one free entry for supervision for every 10 secondary students). The different ways of getting to ZSL London Zoo can be found here: http://www.zsl.org/zsl-london-zoo/visitor-information/directions-to-zsl-london-zoo. The different ways of getting to ZSL Whipsnade Zoo can be found here: http://www.zsl.org/zsl-whipsnade-zoo/visitor-information/directions. You can also find more information on organising a school visit by downloading a copy of the Department of Education's health & safety advice for schools.